Insights and Inspiration from Al Arnold, Pioneer of Ultrarunning and Badwater! 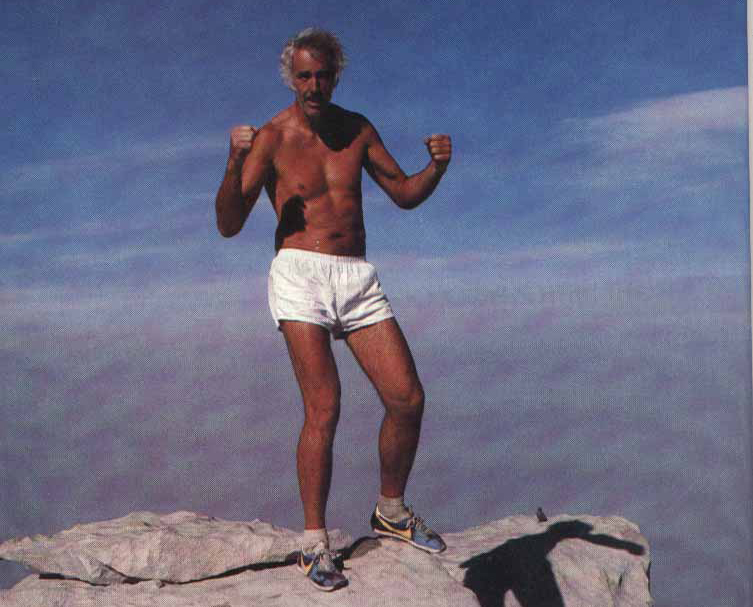 Al Arnold, age 49, atop Mt. Whitney after his successful run from Badwater in 1977. Welcome to Badwater 2015. 40 years ago, on my second attempt at running from Badwater to Mt. Whitney, I got “cute” and frolicked across the Devil’s Golf Course and hyper-extended my knee: Stupid! So, stay focused, stay smart, and respect the importance of your being at the starting line of this year’s Badwater 135! Chris Kostman, Race Director, has worked tirelessly in bringing the toughest ultramarathon in the world back to its namesake. His efforts to perpetuate this event require every participant, including non-runners and crew members, to recognize that you’re the guest of Death Valley National Park and that all rules and regulations of the Park and the Race Director must be respected. Disregard for these regulations will only lead to the prohibition of this and other ultra events through Death Valley National Park. Think about it: your actions determine the fate of this race! A Badwater Family Reunion is how many participants view this event: All efforts are extended in helping others in their effort to successfully complete this grueling event. The Badwater 135 requires each participant, regardless of experience, to stay focused on their own abilities and goals and to not lose them within the hype of the event. My successful Badwater/Whitney trek of 1977 is still very vivid in my memory. I hope that yours will be as well and that you will subsequently become a Badwater Ambassador as you continue to further our extensions into the unknown of the human’s desire towards new quests. Four decades of accumulated data and experience about running the Badwater 135 route state clearly that it is your responsibility to return home … safely and successful. Other than your fellow ultra athletes, few people understand your commitment. So, other than being polite, few are willing to listen to a “did-not-finisher”! (The only reason the media was interested in my two DNF’s in 1974 and 1975 is because the run had never been done. So, on my third, and successful attempt, in 1977 it was an international success.) My finishing time wasn’t an issue; it was all about completing the route. For most participants today, beating the cut-off-time is an issue. But, as I review the roster of remarkable athletes lining up for this year’s race, I believe all participants should finish below the time constraints. NOTE: Al Arnold is the Neil Armstrong and Edmund Hillary of ultramarathons, the first to run between Badwater and Mount Whitney, back in 1977, after two failed attempts in 1974 and 1975. 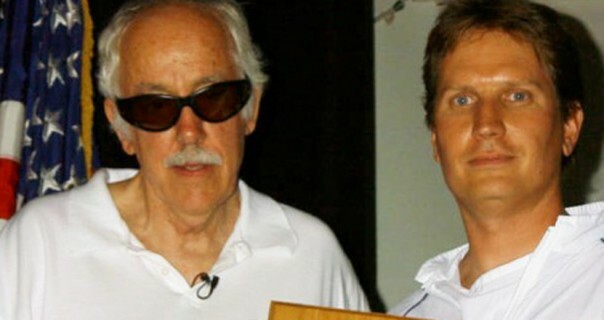 He became the first inductee into the Badwater Hall of Fame in 2002, on the 25th anniversary of his historic run, and remains a staunch friend and fan of the race. He lives in Walnut Creek, CA and is 87 years old. His birthday is February 4, 1928. He can be reached by email at alarnold1977 “at” msn.com and loves hearing from fellow ultrarunners. His essays are archived here on the Badwater.com website. 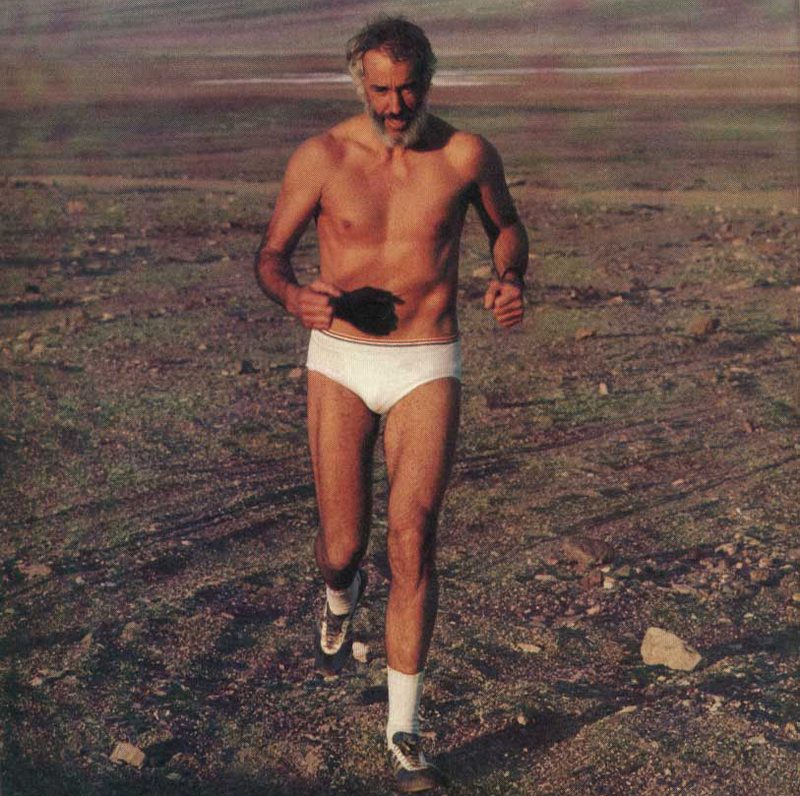 Al Arnold, age 49 in 1977, gets in a last training run in Death Valley prior to becoming the first person to successfully run from Badwater to Mt. Whitney.